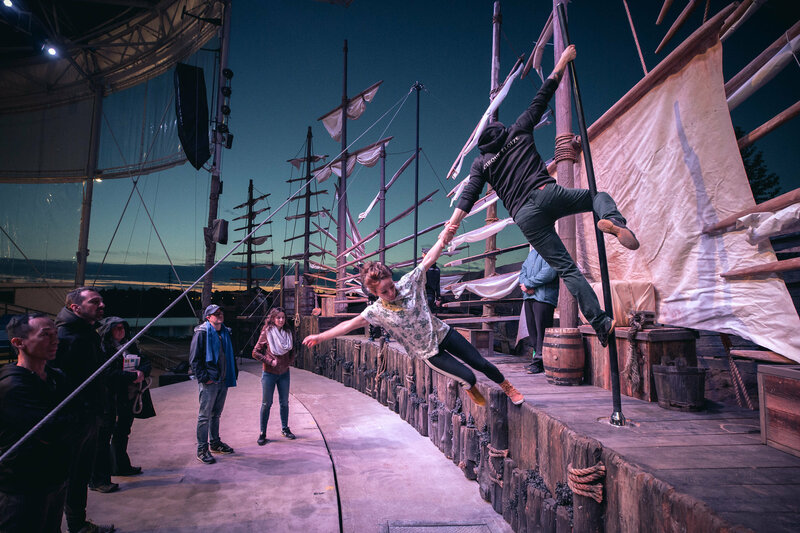 A cast member practices on a rope at La Cité de l’Énergie’s amphitheatre in Shawinigan, Que. In Acadian French, éloize refers to flashes of heat lightning on the horizon. 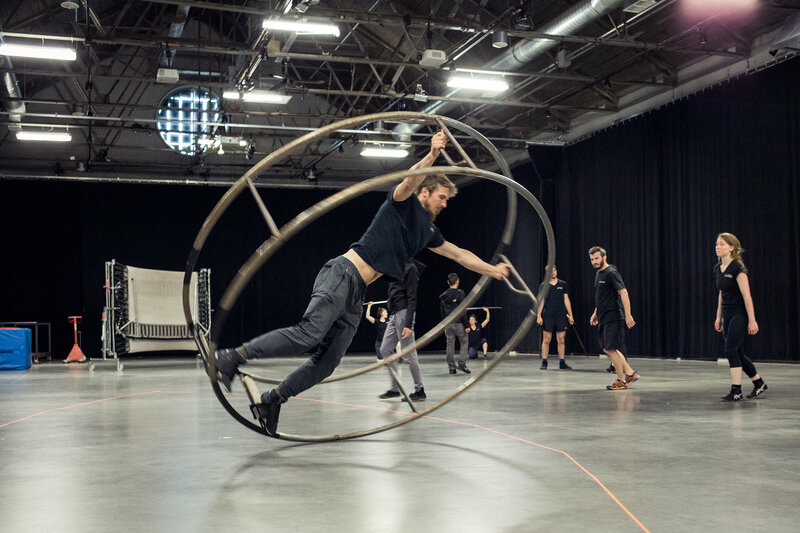 That energy is the inspiration behind one of Canada’s most successful circus arts companies, Montreal-based Cirque Éloize, which celebrates its 25th anniversary this year. 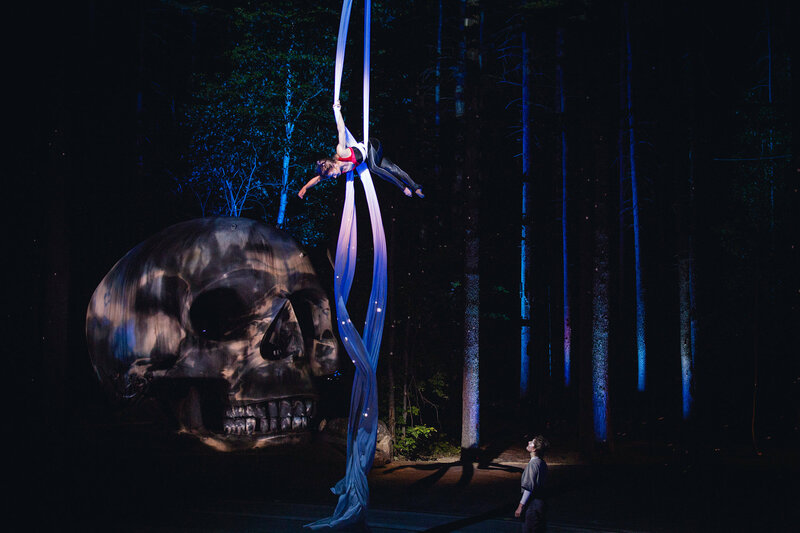 During its quarter century in business, the company has delivered more than 5,500 intimate theatrical circus performances in 50 countries. While it may share the same hometown as world-renowned Cirque du Soleil, Éloize has forged its own path. “We were among the first to propose a concept for theatres, rather than a big top,” says Jeannot Painchaud, Éloize’s president and chief creative officer. 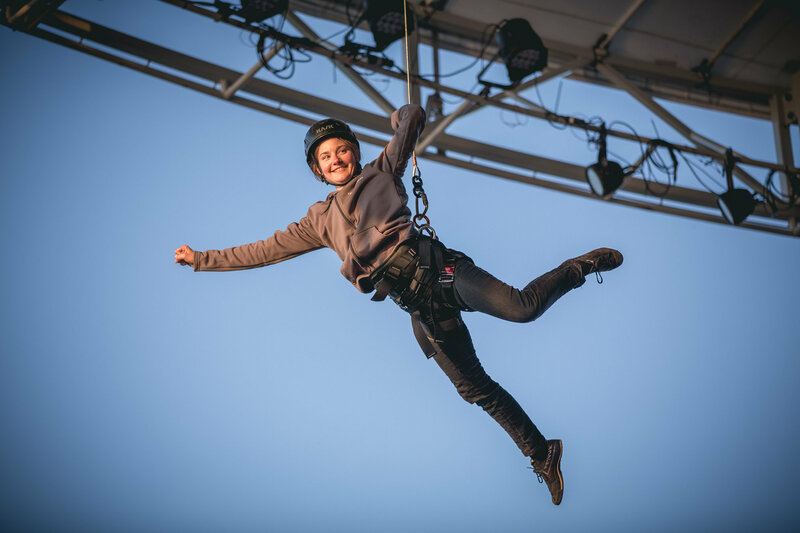 This year, Éloize is performing four different shows in 46 cities. Two of these shows were developed specially for this anniversary year. 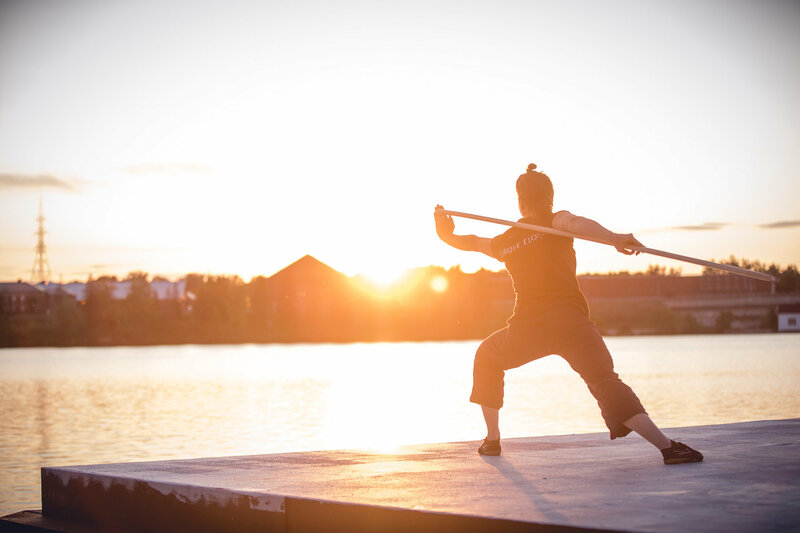 The first, Nezha, will be performed in a 360-degree outdoor amphitheatre in Shawinigan, Que., every summer for the next three years. 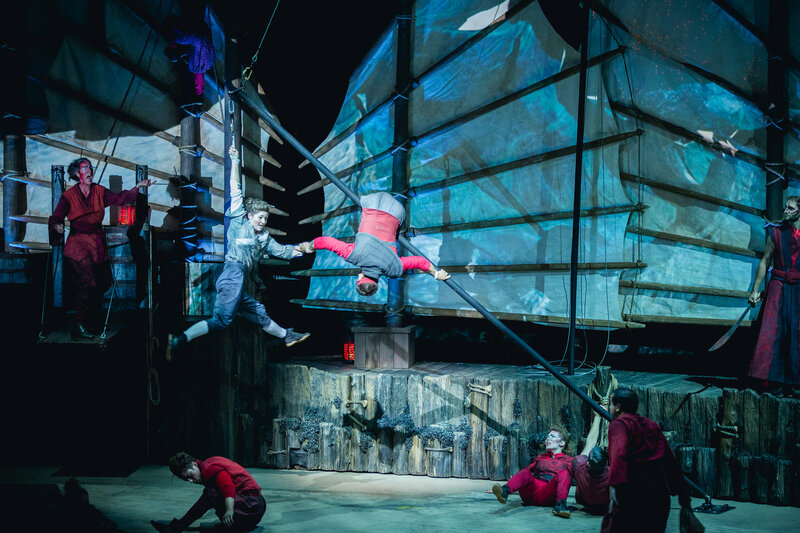 Part circus performance and part play inspired by a Chinese legend, the show is written and directed by theatre actor Frédéric Bélanger and tells the story of an orphan left alone on an island of pirates through dance, acrobatics and visual projections. The second, Hotel, is the troupe’s newest touring show, inspired by their experiences on the road. It starts previews this month, and the Canadian premiere will be held in Montreal on November 14. Meanwhile, a smattering of local events in Montreal and festival performances in France, Lebanon, Georgia and the United States will cap off this year’s celebrations. 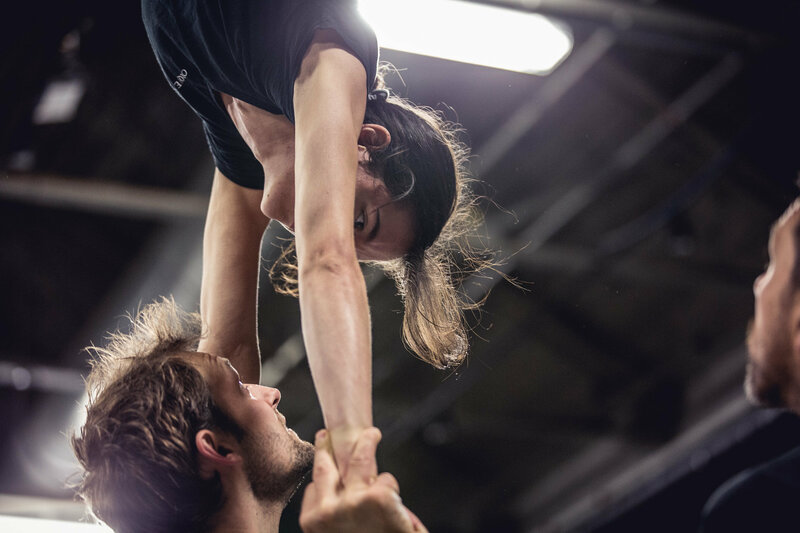 Above: Cast members rehearse inside Cirque Éloize’s creative studio in Montreal. 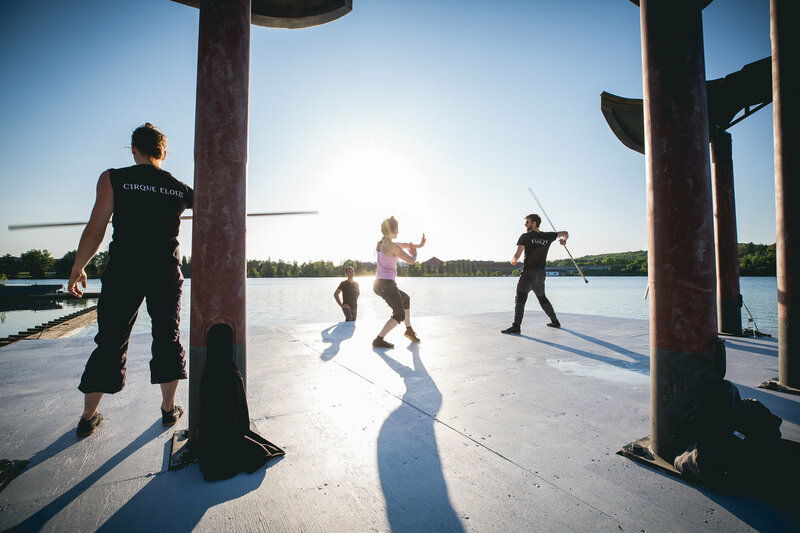 Cast members practice martial arts at the amphitheatre in Shawinigan, Que. Rehearsing on set for a performance of Nezha. Florence Amar hangs from aerial silks during a performance of Nezha. Pauline Baud-Guillard balances atop a wheel during a performance of Nezha.